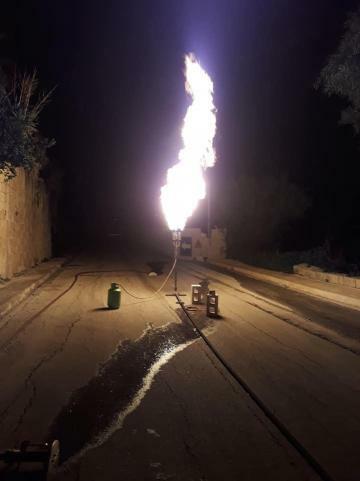 The Civil Protection Department has asked people to avoid Santa Maria Estate as they battle a gas leak from a bowser with the situation expected to take several more hours to be brought under control. 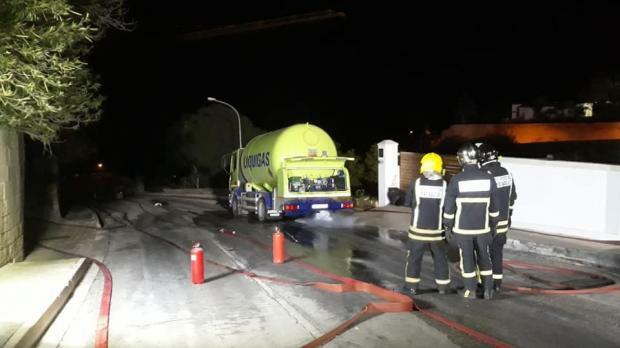 Three houses were evacuated after a Liquigas LPG bowser developed a constant leak on Monday morning and its contents had to be flared in an operation which continued overnight. The operation was still in progress at 6.25pm on Tuesday. The Civil Protection Department said the truck developed a valve fault that led to a constant release of LPG. Various techniques were used to try to transfer the load to other bowsers but none were successful. In order to ensure public safety three homes were evacuated, and the decision was taken to flare the contents a safe distance away. Several senior officers of the Civil Protection Department, including the director, deputy director, operations managers, station officers and 20 fire-fighters took part in the "delicate operation". Five fire engines and 90,000 litres of water were used, the department said. The police and private water contractors assisted.